Flowery cakes are a great way to make a special occasion memorable for many years to come. These cakes are perfect for a multitude of occasions, from weddings to birthdays, to anniversaries and religious ceremonies like Christmas. The flowery cake looks very beautiful and can be the center of attraction in any party. 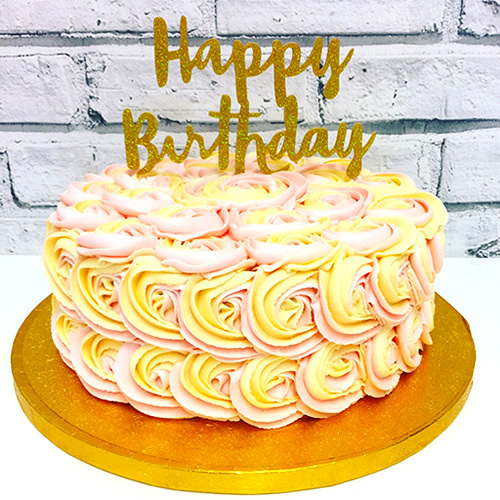 Now, you can also surprise your special ones on their birthdays with an amazing flowery cake with happy birthday topper from GiftJaipur that will make their birthdays an unforgettable celebration to cherish forever. Adding a sweet treat into the celebration will enhance the level of sweetness in the bond that you share with them. Delivered merchandise – cake may vary with the images shown above. Guarantees may not apply for timings during different celebrations and occasions such as Valentine’s Day, Friendship Day and Christmas etc.